About 70 types of glass sponge have been found growing on the deep-sea floor around New Zealand, at depths between 450 and 4,000 metres. This is the stalk of the tulip-shaped glass sponge, Hyalonema. 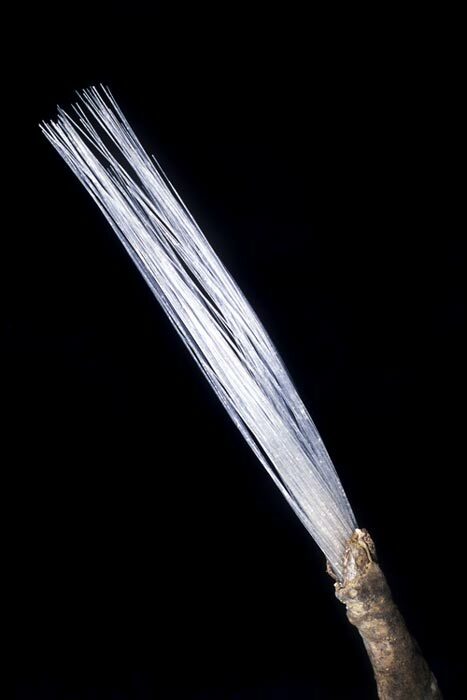 It is composed of long strands of glass fibres, which have fibre-optic properties, used to anchor the sponge to the sea floor.